Blogging is a fantastic tool for supporting teaching and learning as well as for personal professional development and reflection on areas of particular interest. With many online blogging sites available such as wordpress.com you don’t need to be a computer expert or understand .html to set up your own blog. If you are interested in keeping a blog or using blogging in the classroom check out http://startbloggingonline.com/ an excellent beginners guide on how to set up a blog by Mike Wallagher – very user friendly and everything you need to know! With the new academic year not far off maybe a blog is part of your new years education resolution! You may have noticed that at the moment this has become a fortnightly bulletin rather than weekly – mainly due to time pressures! Hopefully it will give people more time to digest and try things out! Click here to download this week’s bulletin. 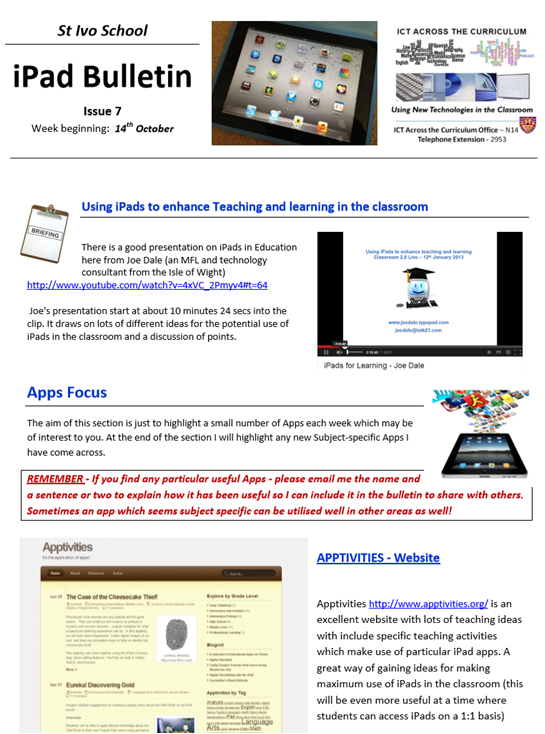 Issue 7 of the iPad bulletin has a particular apps focus on apps for use in Secondary English. 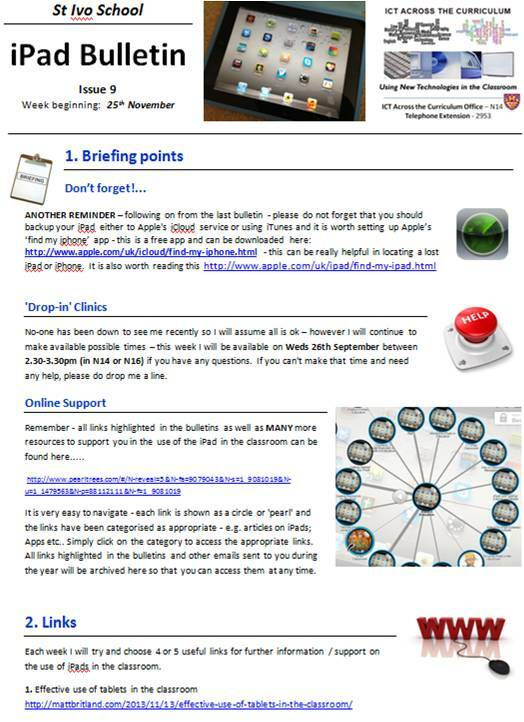 Issue 6 of the iPad bulletin has a particular apps focus on apps for use in Secondary Music.